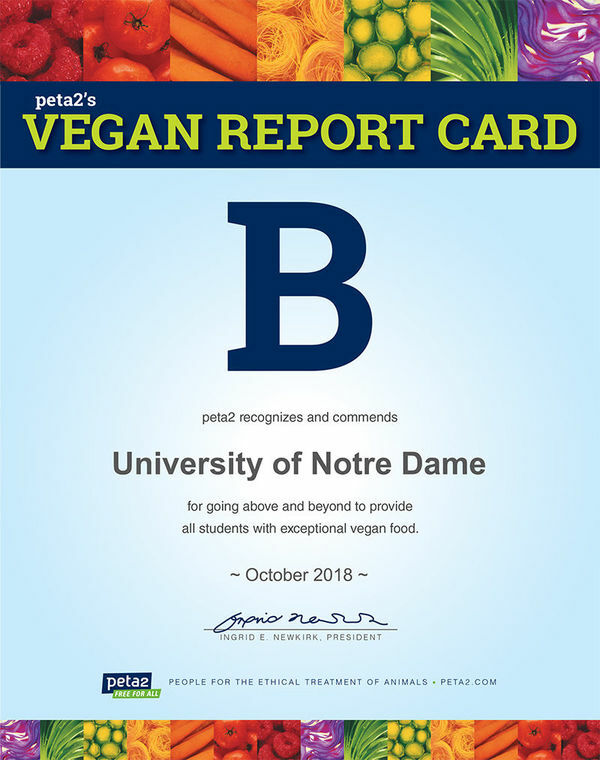 Notre Dame’s North and South Dining Halls earned a B on Peta2’s annual vegan report card. To see a list of vegan offerings served in Notre Dame’s dining hals, visit dining.nd.edu. Originally published by Molly Moran at dining.nd.edu on November 28, 2018.